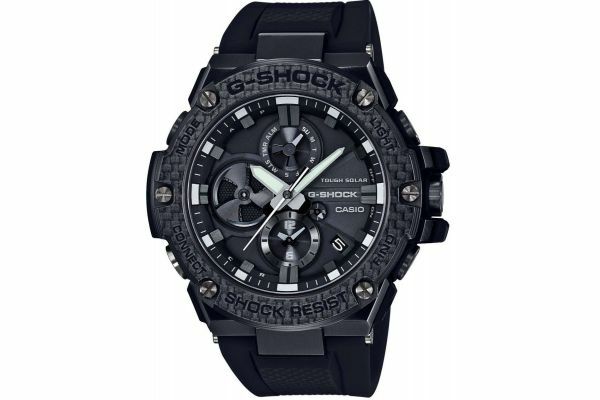 This striking men’s watch is brought to you by Casio as part of their G-Shock collection. The GST-B100X-1AER G-Steel watch is the first watch in the G-Steel range to feature a completely analogue display with Bluetooth® Smartphone capabilities. The G-Steel features a stunning lightweight black carbon bezel; allowing for extreme shock resistance and an alluring aesthetic. Set upon a textured black resin strap complete with a black ion plated stainless steel buckle fastening. 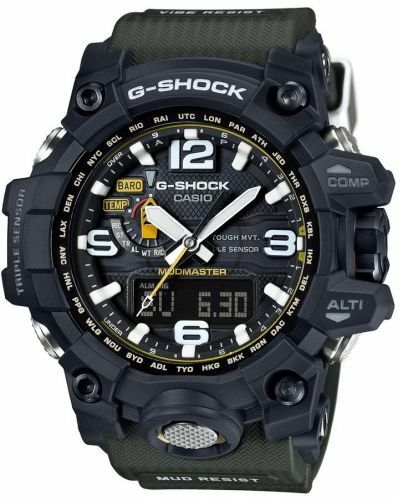 The G-Shock watch has daily alarm functions as well as Auto Calendar display. Bluetooth® connectivity expands the already vast myriad of features. Luminous Neobrite batons provide long term illumination in low light conditions with only brief exposure to light. When stored in the dark, the watch hands cease to move in order to preserve power. The G-Steel has chronograph/stopwatch functions as well as a countdown timer. This watch is solar powered and protected by scratch resistant mineral glass; it is water resistant up to 200 meters with further protection provided by the screw crown. 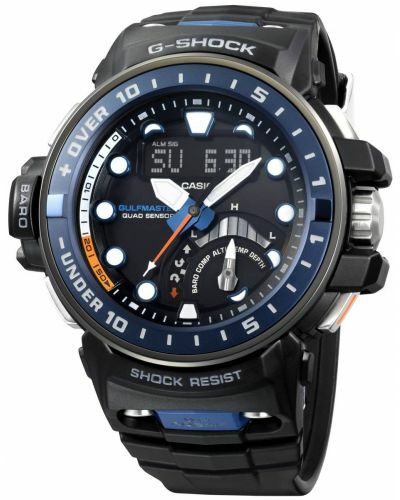 The G-Steel can be worn when diving without scuba equipment. 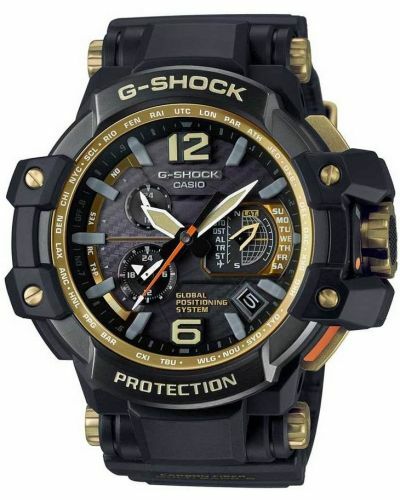 The patented G-Shock construction protects this watch from damage due to impact or vibrations. This bold men’s watch is ideal for both casual wear and for the more adventurous of expeditions. For us to size your new Casio Premium G Shock watch as accurately as possible, please take a look at our downloadable Watch Sizing Guide.